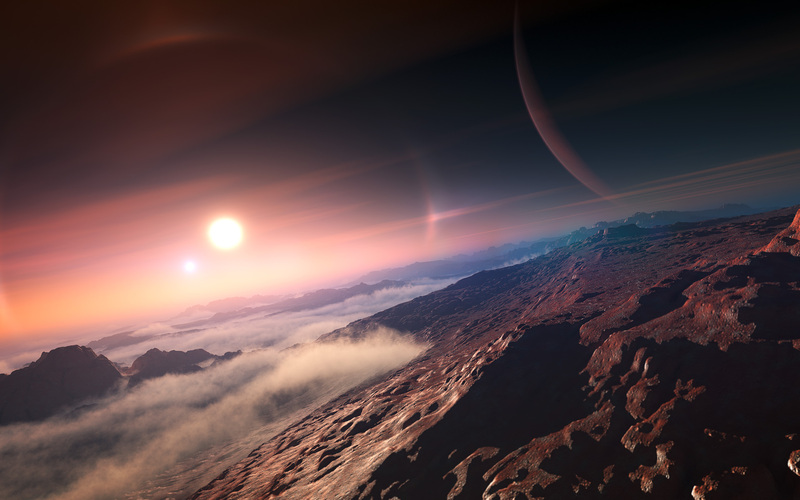 Astronomers said Thursday they had found a planetary system with three super-Earths orbiting a bright, dwarf star one of them likely a volcanic world of molten rock. The four-planet system had been hiding out in the M-shaped, northern hemisphere constellation Cassiopeia, “just” 21 light years from Earth, a team reported in the journal Astronomy & Astrophysics. 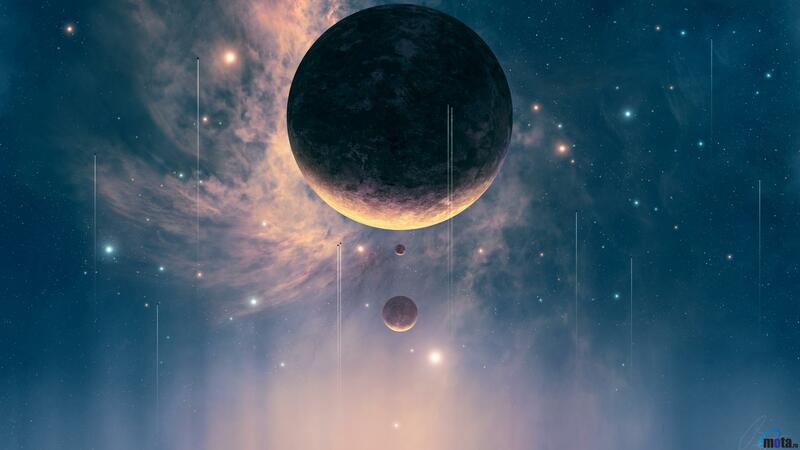 It comprises four planets one giant and three super-Earths orbiting a star dubbed HD219134. 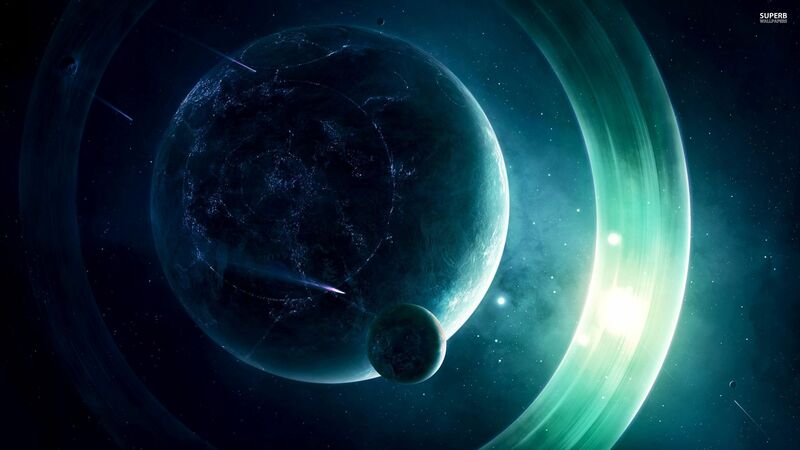 Super-Earths have a mass higher than Earth’s but are lighter than gas giants like Neptune, Saturn or Jupiter. They can be made of gas, rock, or both. 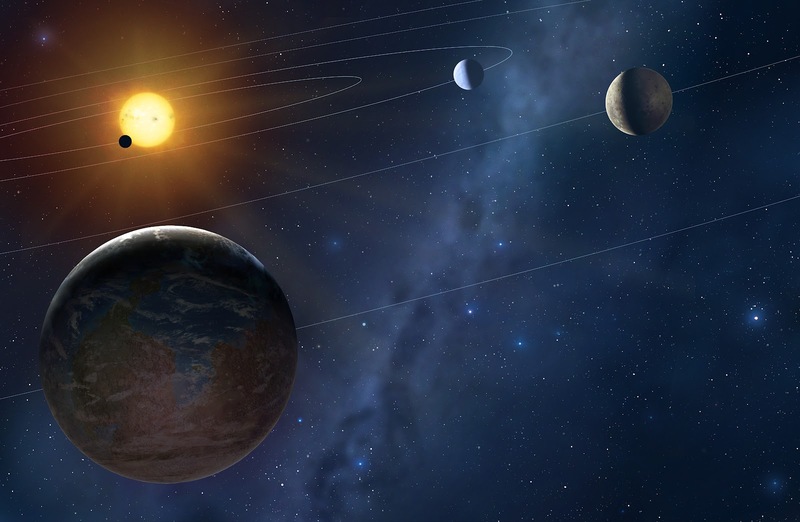 The planet with the shortest orbit, HD219134b, zips around every three days, and has now been observed transiting across the face of its star as seen from the vantage point of Earth. Measurements from the ground and with Nasa’s Spitzer space telescope showed its mass was 4.5 times higher than Earth’s, and that it was 1.6 times larger. 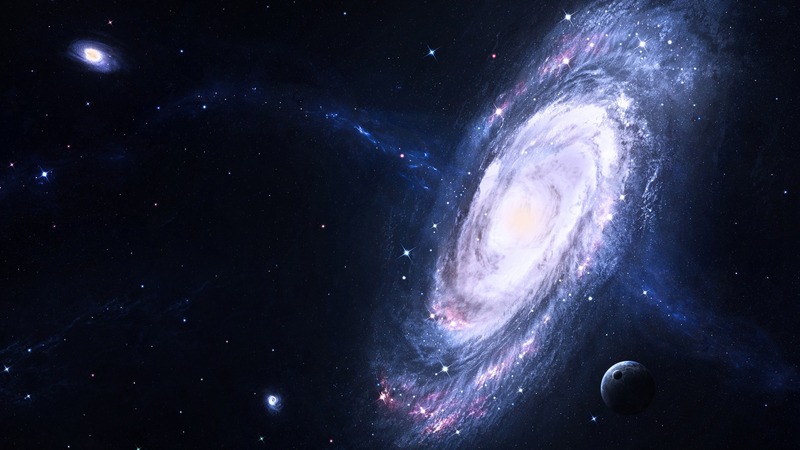 “Its mean density is close to the density of Earth, suggesting a possibly similar composition as well,” said a press statement from the University of Geneva, whose astronomers took part in the research. “It’s very close to the star. The temperature is about 700 degrees” Kelvin (427 Celsius, 800 Fahrenheit), study co-author Stephane Udry told AFP. 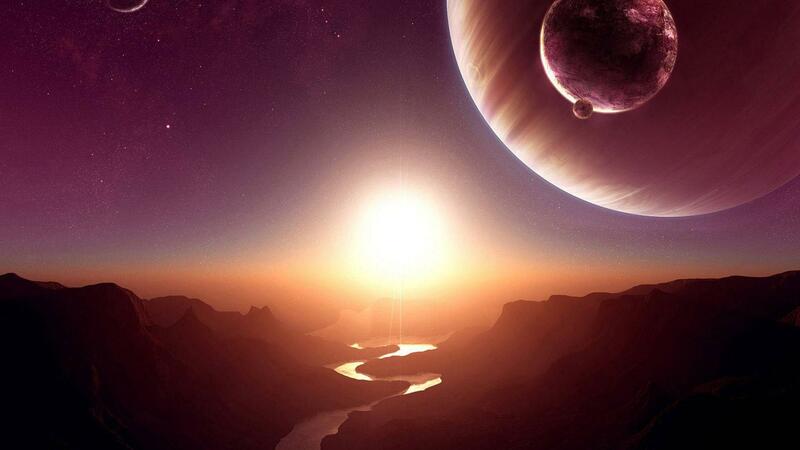 It was not in the so-called “habitable zone” of its star, and would not have liquid water necessary for life. But HD219134b is exciting for another reason: it is the closest transiting planet known to scientists, and thus offers a rare opportunity for further study of its composition and atmosphere against the backdrop of its star. “These transiting systems are especially interesting in that they allow characterisation of the atmosphere of the planet (by studying) the light of the star going through the atmosphere,” Udry said. 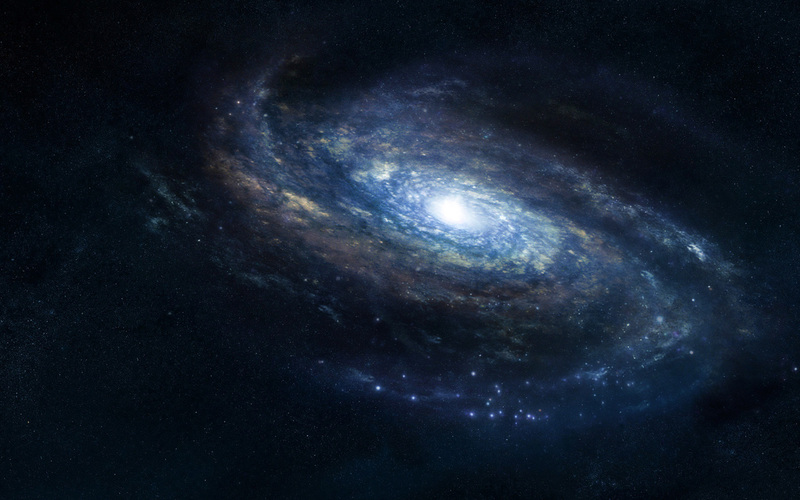 And the system is relatively near at a distance of 21 light years from Earth. By comparison, the closest star to our Sun is three light years away, and the second six light years. 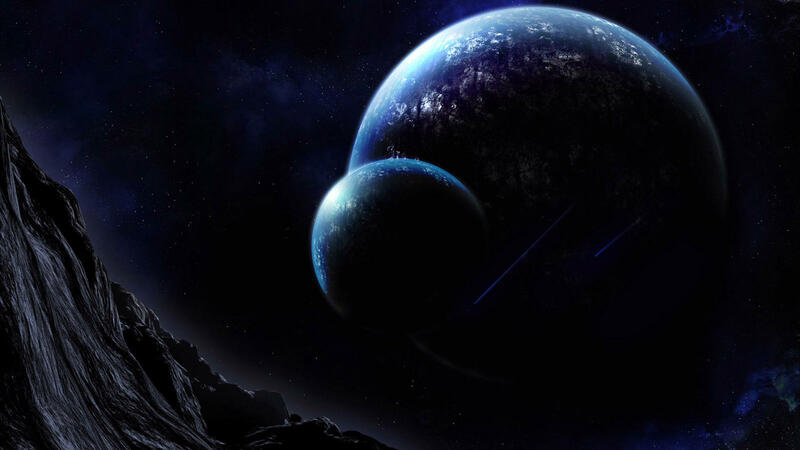 Among HD219134b’s fellow planets, the second furthest from the star weighs 2.7 times as much as Earth and orbits in 6.8 days, the next is 8.7 times more massive than Earth with a 47-day orbit. 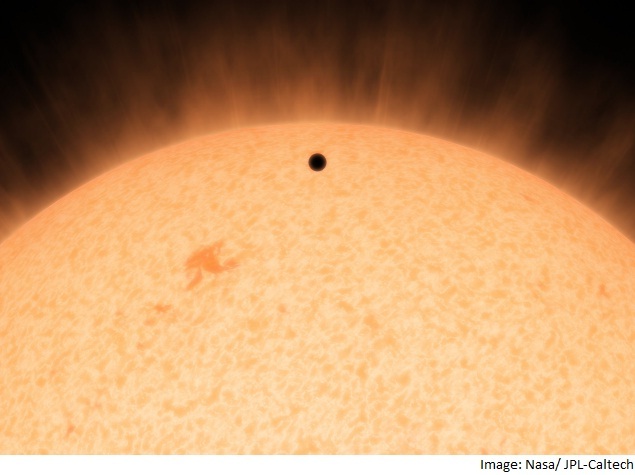 A giant planet further out orbits once every three years, the team said. The latest pictures to be beamed back from the far reaches of the Solar System show a new mountain range on Pluto and the first close up images of two of the dwarf-planet’s smaller moons. 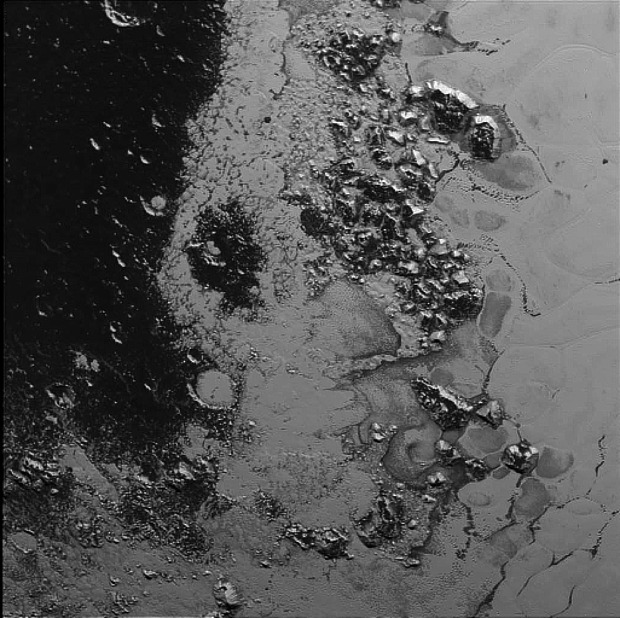 NASA’s New Horizons probe has discovered a new, mountain range on bright, heart-shaped region named Tombaugh Region. These newly-discovered frozen peaks are estimated to be around 5,000ft high – about 600ft taller than Ben Nevis. The Norgay Mountains discovered by New Horizons on July 15 are much taller, around 11,000ft, roughly the height of The Pyrenees. The new range is just west of the region within Pluto’s heart called Sputnik Plain and some 68 miles northwest of Norgay Mountains..
New Horizons has also picked up the first images large images of two of Pluto’s smaller moons. New Horizons’ first colour image of Nix shows a jelly bean shaped satellite which is 26 miles long and 22 miles wide. 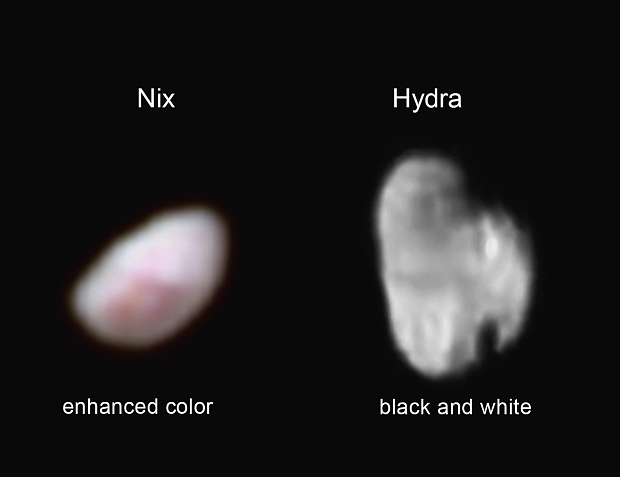 Although the overall surface colour of Nix is neutral grey in the image, the newfound region has a distinct red tint. Hints of a bull’s-eye pattern lead scientists to speculate that the reddish region is a crater. Meanwhile, the sharpest image yet received from New Horizons of Pluto’s satellite Hydra shows that its irregular shape resembles the state of Michigan. There appear to be at least two large craters, one of which is mostly in shadow. The upper portion looks darker than the rest of Hydra, suggesting a possible difference in surface composition. 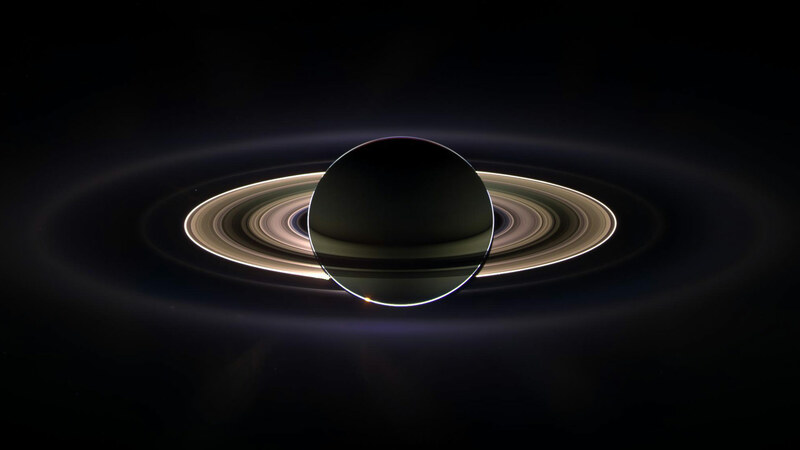 This is what Earth looks like from a million miles away. The stunning image, which focuses on America, was taken by the Deep Space Climate Observatory (DSCOVR) and is the satellite’s first view of the entire sunlit side of our planet. 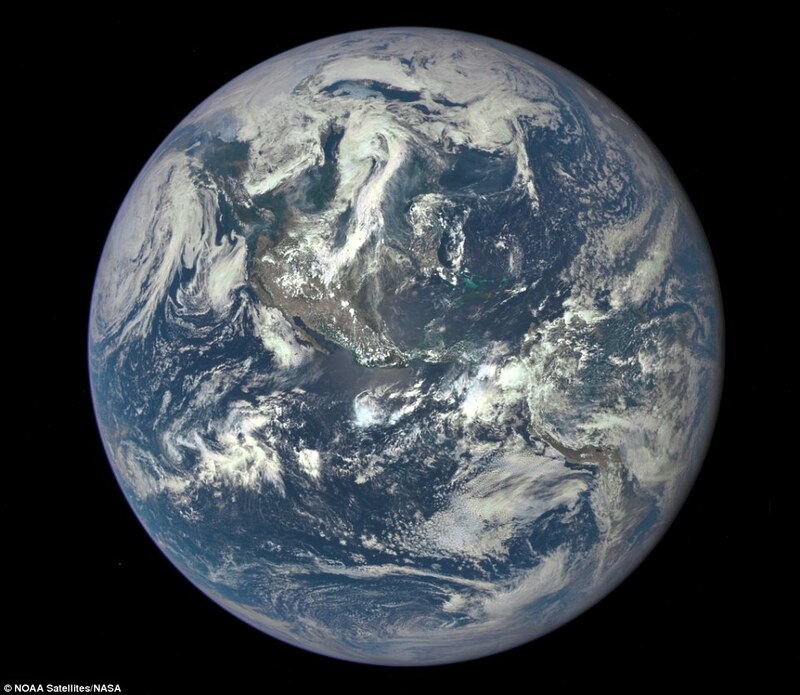 The blue marble was captured by the Earth Polychromatic Imaging Camera (Epic) and created by combining three separate images to show the Earth in incredible detail. The camera takes a series of 10 images using different narrowband filters – from ultraviolet to near infrared. ‘This first DSCOVR image of our planet demonstrates the unique and important benefits of Earth observation from space,’ said Nasa Administrator Charlie Bolden. 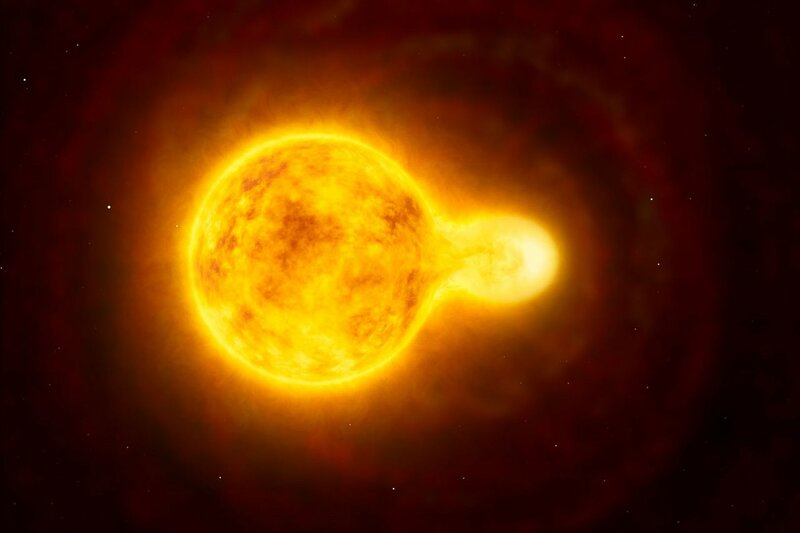 An illustration of two contacting stars — part of the newly discovered bizarre five-star system. Scientists have discovered an absolutely bizarre star system about 250 light years away, in the constellation Ursa Major. The system (officially known as 1SWASP J093010.78+533859.5) features five stars that are all gravitationally bound together. Two orbit each other in what’s called a contact eclipsing binary, meaning they’re so close together that they actually share an atmosphere, with gases flowing between them. Another two stars also orbit each other, but at a much greater distance — about 1.8 million miles, which is more than twice the diameter of the sun. Another star hangs out near that pair, but doesn’t appear to orbit them. 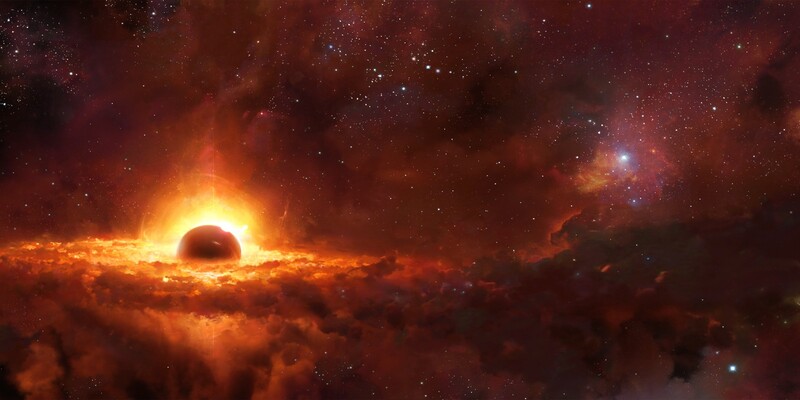 Systems that include five stars gravitationally bound together are rare, though not unprecedented (astronomers have actually found systems that include as many as six stars). 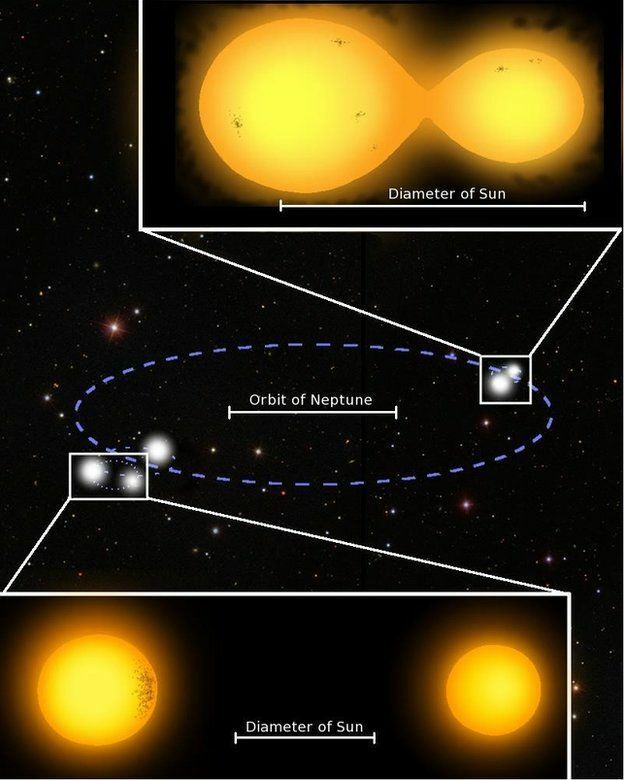 But this is the first one ever found that includes multiple pairs of stars orbiting each other. 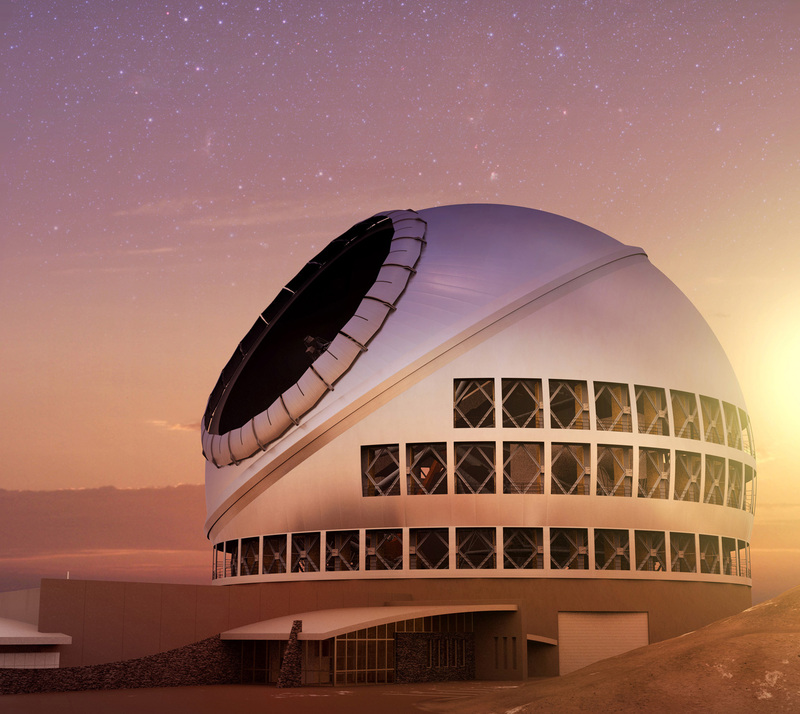 The discoverers of the strange system — a team of astronomers from Open University in the UK and elsewhere — presented all these discoveries in a new paper published in the journal Astronomy & Astrophysics. Thanks to George Dvorsky at io9 for bringing it to our attention. After the successful launch of its Mars orbiter, the Indian Space Research Organisation (ISRO) is now viewing Venus as possibly the next planet it can study and explore. 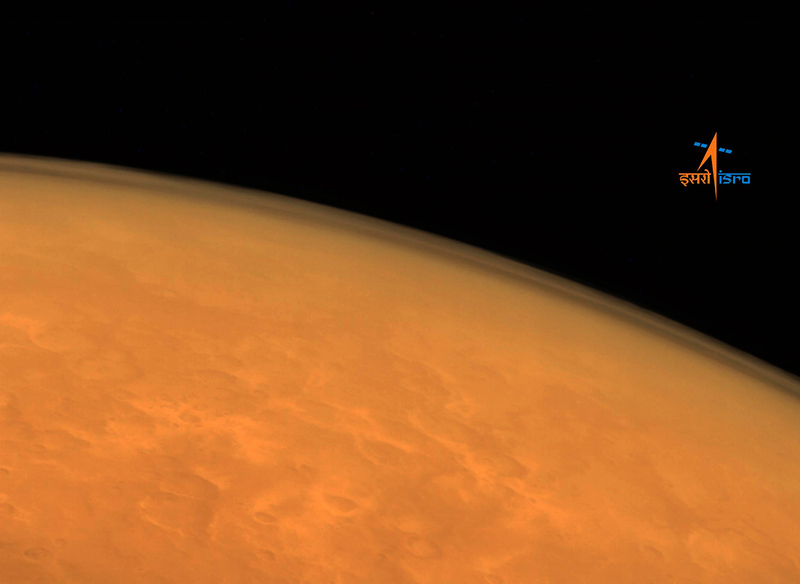 “Besides the Mars-2 mission, we are looking at Venus and even an asteroid for exploration. A project has to be formulated for this before we chart out a proper roadmap for the explorations. Venus is our neighbour and has many scientific challenges and aspects that need to be studied. 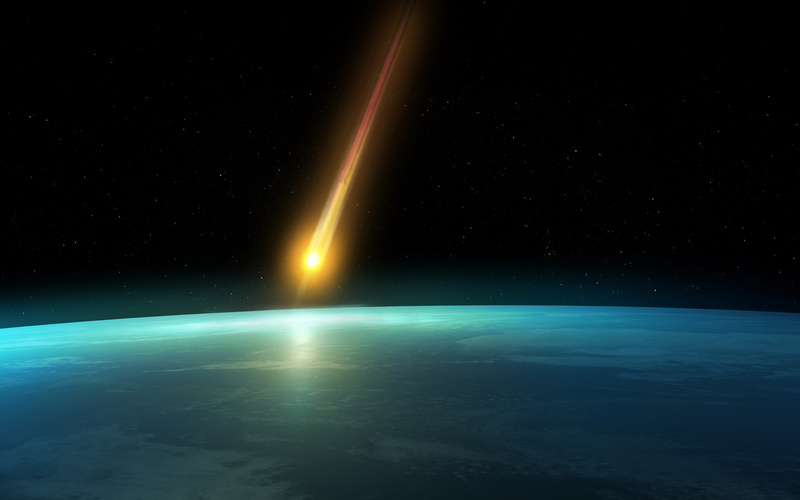 Exploring an asteroid is also challenging task,” Dr Kiran Kumar, Isro chairman, told HT. In 2014, India created history in space when its Mars orbiter slipped into the Red Planet’s orbit in its maiden attempt. India became the first Asian country to reach Mars and the first in the world to enter the orbit of the planet in its first attempt. 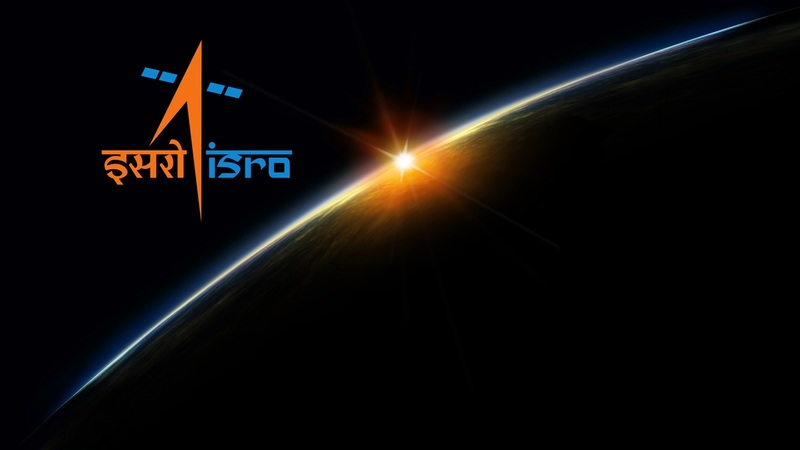 Moving beyond satellite launches and planetary explorations, Isro is also aggressively working with many government departments on optimising the usage of space tools and data. 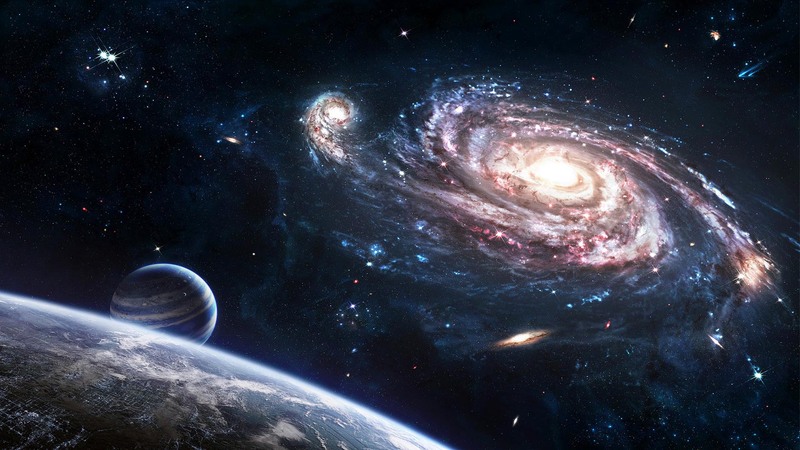 A national meet on space is likely to be held in Delhi next month, where ministries and departments of the government will give presentations on how they are using space tools in their workings. From civil aviation to railways, tribal affairs to health, postal to agriculture the number of government departments working with Isro has increased to more than 60 in the past few months. 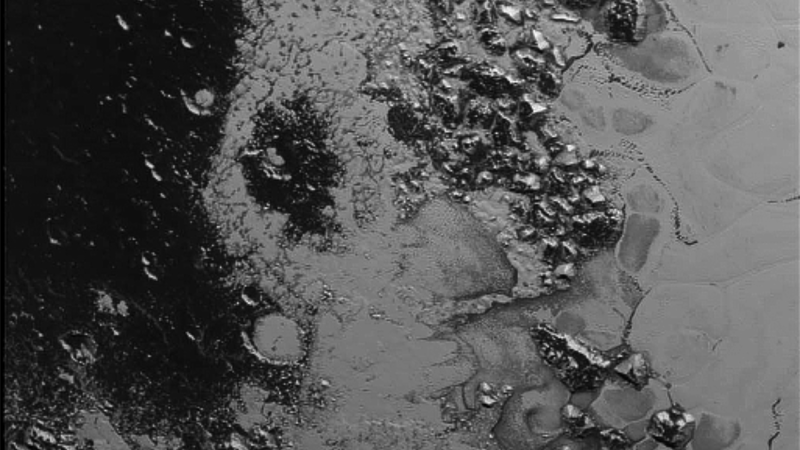 Like the rest of Pluto, this region would presumably have been pummeled by space debris for billions of years and would have once been heavily cratered – unless recent activity had given the region a facelift, erasing those pockmarks. ‘This is one of the youngest surfaces we’ve ever seen in the solar system,’ added Jeff Moore of New Horizons’ Geology, Geophysics and Imaging Team (GGI). This is the first time astronomers have seen a world that is mostly composed of ice that is not orbiting a planet. 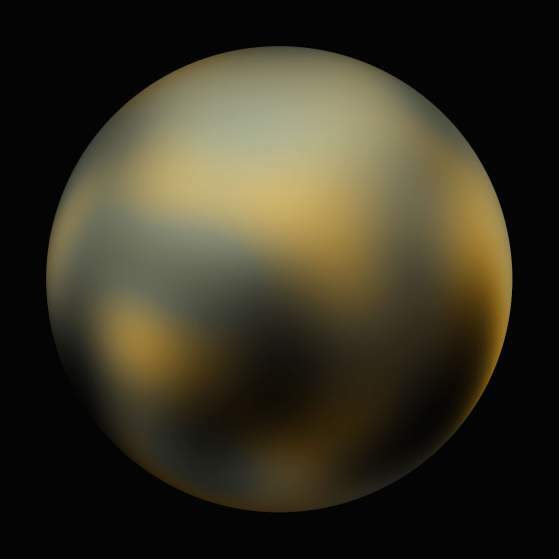 Unlike the icy moons of giant planets, Pluto cannot be heated by the gravitational pull of a larger planetary body. 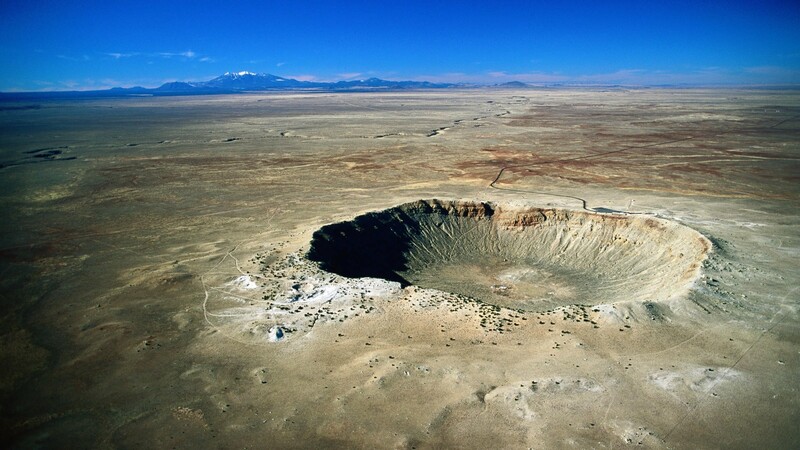 Nasa says some other process must be generating the mountainous landscape. 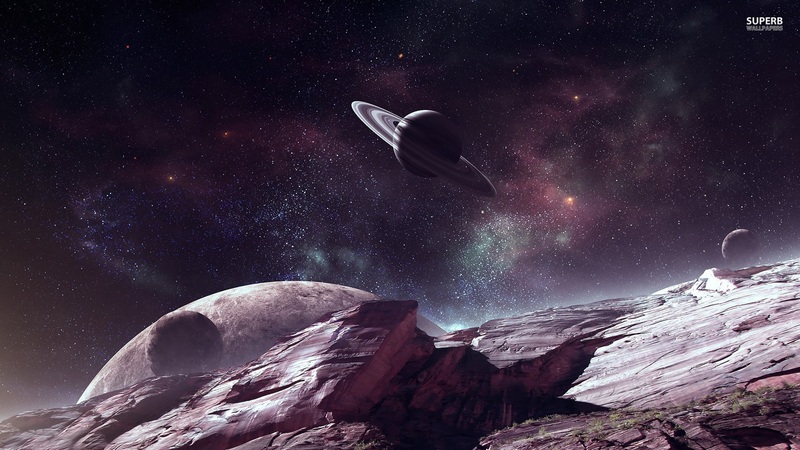 ‘This may cause us to rethink what powers geological activity on many other icy worlds,’ says GGI deputy team leader John Spencer of the Southwest Research Institute. 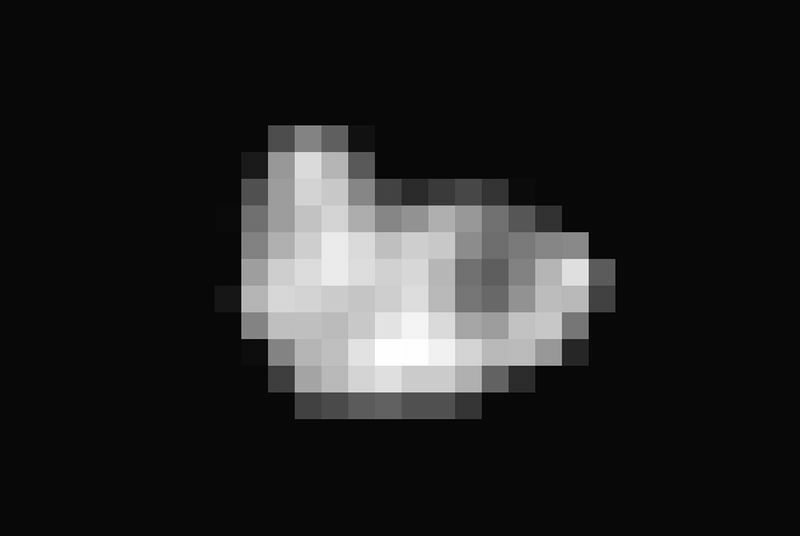 A new sneak-peak image of Hydra is the first to reveal its apparent irregular shape and its size, estimated to be about 27 by 20 miles (43 by 33km). The surface shows differences in brightness, which suggests that Hydra’s outer layer is composed manly of water ice . 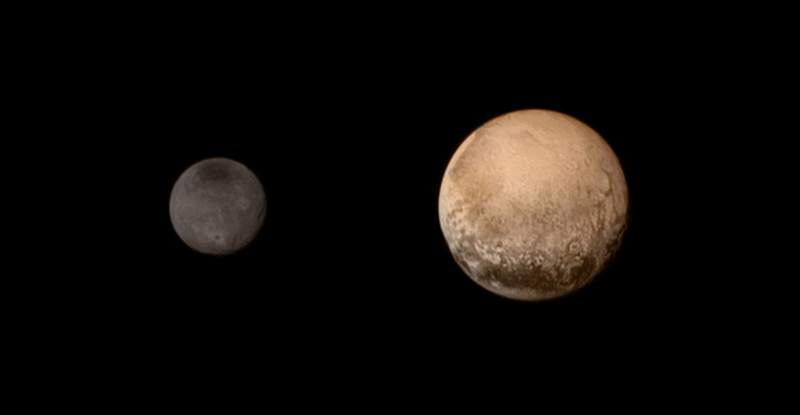 NASA’s New Horizons spacecraft is about to show us an alien world for the first time. At precisely 7:49 am ET on Tuesday, the probe will become the first spacecraft to fly by Pluto. New Horizons has been en route for nine years, traveling more than 3 billion miles. The flyby will be over in a matter of minutes, as the probe frantically takes hundreds of photos and collects data on Pluto’s atmosphere, geology, and moons. All this data will be enormously valuable to scientists as they seek to understand our solar system and how it formed billions of years ago. More than anything, this mission is about broadening our horizons — taking in just a little bit more of the impossibly vast universe we live in. Pluto feels familiar. It’s easy to imagine the small, frigid rock, millions of miles from the sun and covered in ice. The high-resolution photos to come will give us detailed topographical maps, just like those provided by the satellites that orbit Earth. They could reveal mountains, ice caps, volcanoes, or even an ocean of liquid water under the ice. “Who knows what kind of bizarre things we’ll find up close?” Stern said. 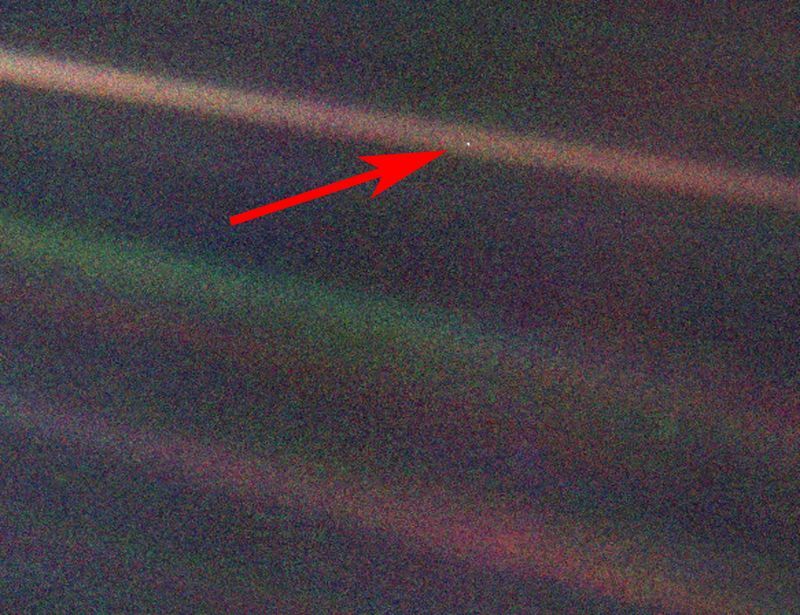 Earth, as seen by the Voyager spacecraft, from more than 4 billion miles away. We spend our entire lives on the surface of Earth — so it’s hard to really grasp how far away Pluto truly is from us. But as an analogy, think of Earth as a basketball. By comparison, Pluto would be a little larger than a golf ball. 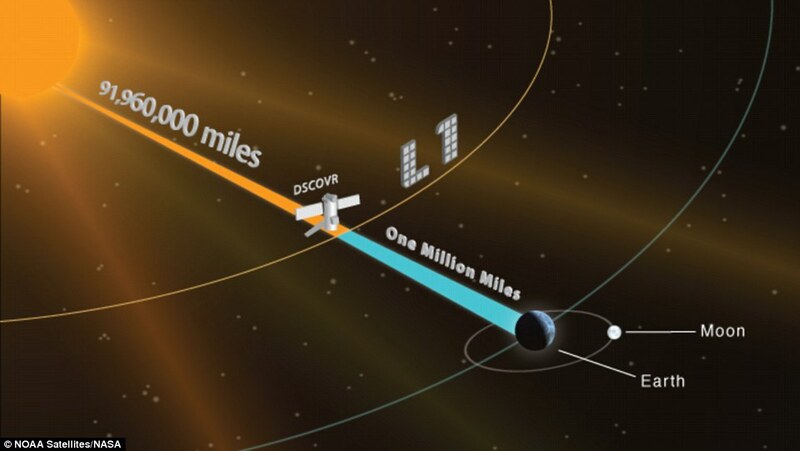 But if you wanted to keep the scale constant, you’d have to put that golf ball incredibly far away: 50 to 80 miles (depending on its location in orbit). This mission, like many activities in space, is a good reminder of how vast our corner of the universe is — and how absurdly tiny our entire earthly realm of experience is by comparison. And it’s not just the size of space that boggles the mind. It’s also the timescale on which everything occurs. Pluto takes 248 Earth years to orbit the sun. To put it another way, the entirety of US history has occurred during a single Plutonian orbit. 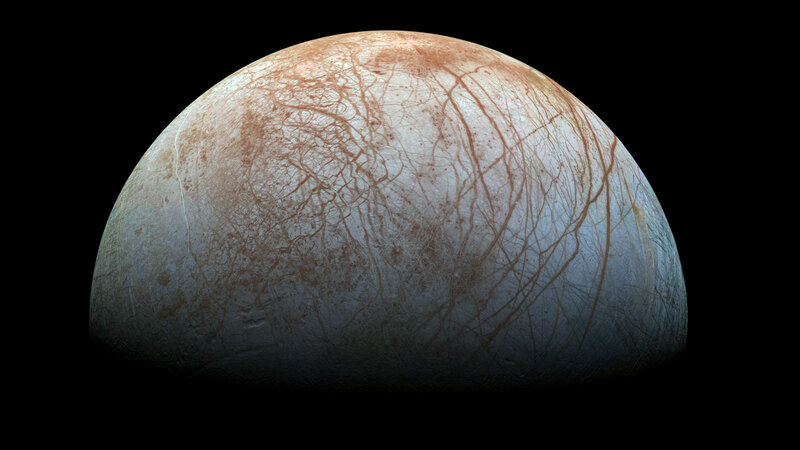 There’s a mission to Europa planned, but it won’t reach the moon for a decade or more. 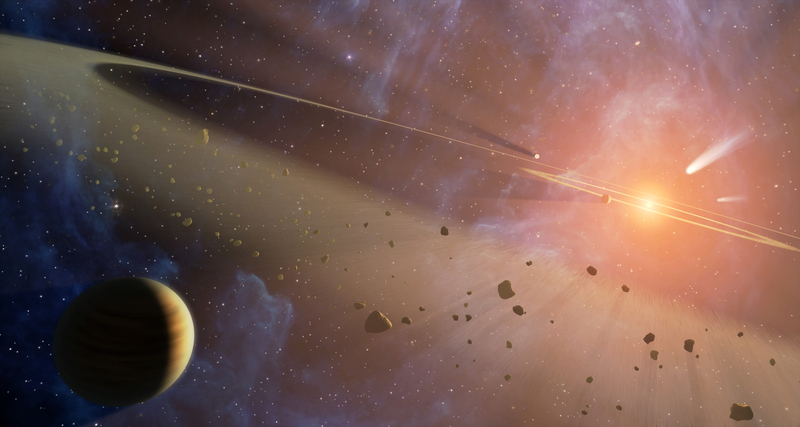 The past few decades have been filled with all sorts of fascinating missions to the planets, moons, asteroids, and comets of our solar system — uncrewed probes sent every few years, run by trained scientists, and supported by government funding. This is the result of cutbacks to NASA’s planetary exploration budget. The OSIRIS-REx probe will launch next year, to travel to an asteroid and bring back a sample, but it won’t return until 2023. Meanwhile, a mission to Jupiter’s moon Europa is in the works, but it likely won’t be launched until 2025 at the earliest, and wouldn’t reach Europa until the 2030s. In other words: Enjoy this brief flyby. It’s going to be a while before any NASA probe visits a new world. t’s hard to appreciate just how difficult it is to send a spacecraft to Pluto. But think of it this way: because it’s so incredibly far away, it took New Horizons nine years to cover the 3-billion-mile trip there — which means the craft is using decade-old technology, traveling a route that was calculated years ago. New Horizons’ trajectory through the solar system. Despite this, NASA engineers managed to get the tiny probe — about the size and shape of a grand piano — to an incredibly precise spot in space, using Jupiter’s gravity as a slingshot to accelerate it outward and a few thruster burns over the years to keep the probe on track. Along the way, they had to worry about potentially damaging debris nearby Pluto — as well as a scary software glitch this past weekend, which was, thankfully, resolved. Now New Horizons is going to fly within 7,750 miles of Pluto, coming closer than its moons. Because New Horizons is traveling at such a high speed (about 31,000 miles per hour) and can’t slow down, the flyby will be over in a matter of minutes — fording it to collect all its data in a tiny window of time. And receiving all that data is another huge challenge. 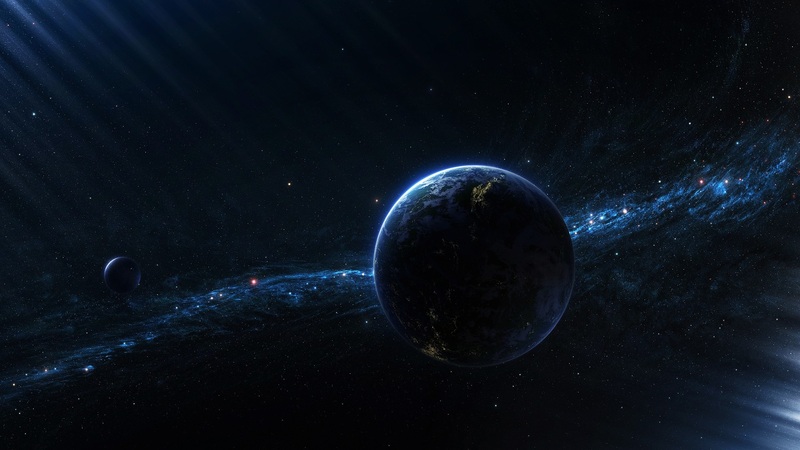 Because New Horizons is so far away, it takes about 4.5 hours for any data it sends back to reach Earth. And the signal is so faint that NASA has to use 200-foot-wide radio dishes (one each in Australia, California, and Spain) to pick it up. This means an extremely low rate of data transmission: about 1 kilobit per second, more than 50 times slower than a 56k modem from the ’90s. It takes more than 42 minutes for New Horizons to fully transmit an image that’s 1024 pixels wide. If you haven’t been paying attention so far, now’s the time to start. This is a really big deal. 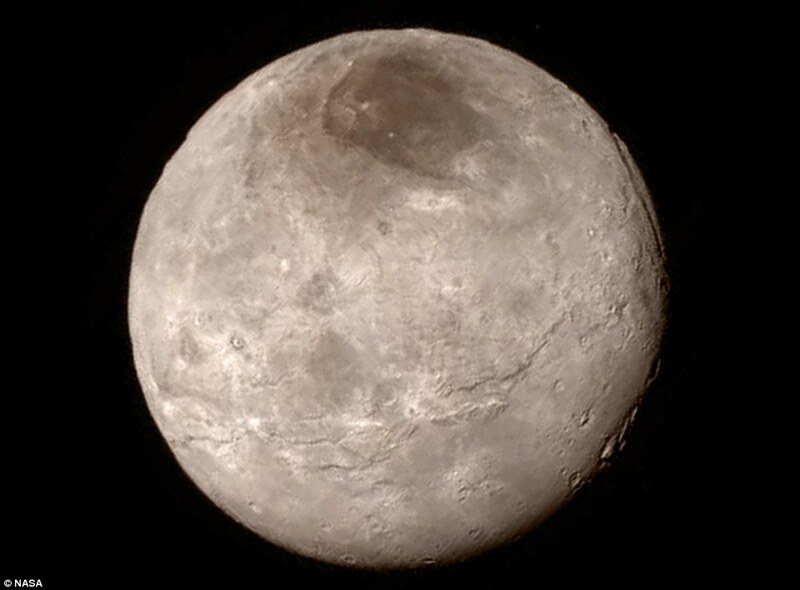 IN THE IMAGE NASA released of Charon yesterday, astronomers pointed out a collection of vaguely-defined features on the surface of Pluto’s biggest moon. 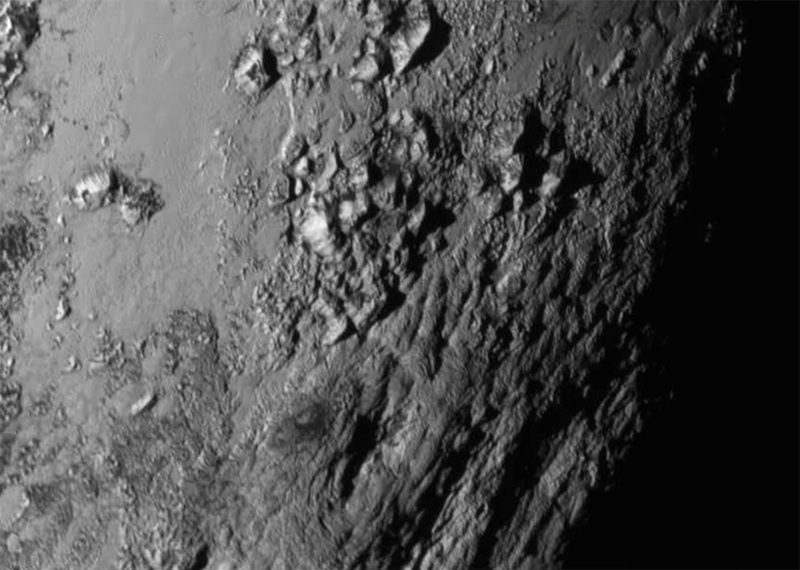 Now, with this latest capture, the New Horizons team has confirmed that the big dent in the icy rock’s surface is in fact an impact crater, surrounded by a couple of deep canyons—one larger than Earth’s Grand Canyon. Get ready for even more detailed images of Charon and its orbital buddy, Pluto, tomorrow morning when New Horizons makes its closest approach to the system. Geologists will be especially interested to take a closer look at the dark spot on the moon’s northern pole, and the rays of material you can see spraying out from the edges of the crater. SpaceX’s rocket just exploded. Here’s why that’s such a big deal. An unmanned SpaceX Falcon 9 rocket bound for the International Space Station exploded a couple of minutes after liftoff Sunday morning. It was the third cargo mission to the space station to be lost in recent months. Elon Musk, SpaceX’s founder tweeted that “there was an overpressure event in the upper stage liquid oxygen tank.” He added: “That’s all we can say with confidence right now. Will have more to say following a thorough” analysis. The rocket took off from Cape Canaveral, Fla., at 10:21 a.m., and everything seemed fine until 2 minutes at 19 seconds. Then video of the launch showed harrowing, if now familiar, images of a rocket exploding into a plume of smoke. The Falcon 9 was carrying more than 4,000 pounds of food and supplies to the space station, where American Scott Kelly is spending a year. There were no astronauts onboard. The explosion also lost many student experiments and a water filtration system. Also onboard was a piece of hardware that would be used to help two new crew vehicles dock to the station. NASA is sending Microsoft’s virtual reality headset to the International Space Station (ISS) to beam back to Earth what astronauts see in space. NASA and Microsoft are teaming up to develop Sidekick, a new project using commercial technology to empower astronauts aboard the ISS. Sidekick uses Microsoft HoloLens to provide virtual aid to astronauts working off the Earth. “HoloLens and other virtual and mixed reality devices are cutting edge technologies that could help drive future exploration and provide new capabilities to the men and women conducting critical science on the International Space Station,” said Sam Scimemi, director of the ISS programme at NASA Headquarters in Washington. 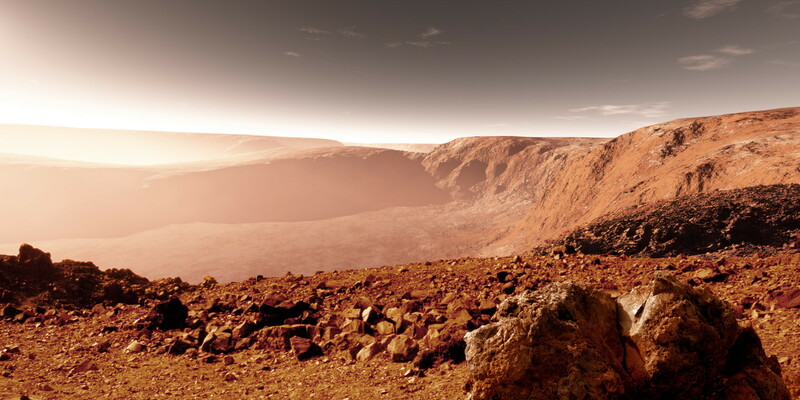 “This new technology could also empower future explorers requiring greater autonomy on the journey to Mars,” said Mr Scimemi. “Sidekick is a prime example of an application for which we envisioned HoloLens being used – unlocking new potential for astronauts and giving us all a new perspective on what is possible with holographic computing,” said Alex Kipman, technical fellow, Windows and Devices Group at Microsoft. Sidekick has two modes of operation. The first is “Remote Expert Mode,” which uses Skype to allow a ground operator to see what a crew member sees, provide real-time guidance, and draw annotations into the crew member’s environment to coach him or her through a task. Until now, crew members have relied on written and voice instructions when performing complex repair tasks or experiments. The second mode is “Procedure Mode,” which augments standalone procedures with animated holographic illustrations displayed on top of the objects with which the crew is interacting. This capability could lessen the amount of training that future crews will require and could be an invaluable resource for missions deep into our solar system, where communication delays complicate difficult operations.